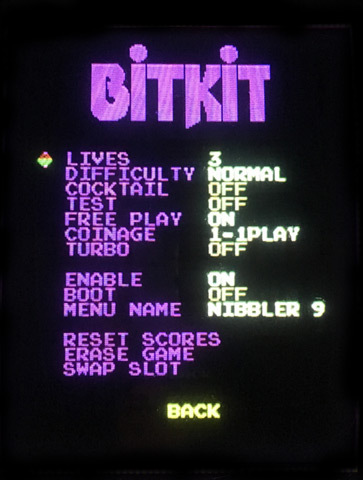 The BitKit is an 8bit FPGA platform for recreating arcade classics as accurately as possible. and other hardware platforms & games are planned. The BitKit is intended for Home Use only. *Game rom files are not included with the BitKit. Plug-and-play in any JAMMA arcade cabinet, the BitKit is easily updatable via usb. The BitKit manager desktop app provides 1-click functionality for updating firmware, loading game files*, and downloading high scores to share online.